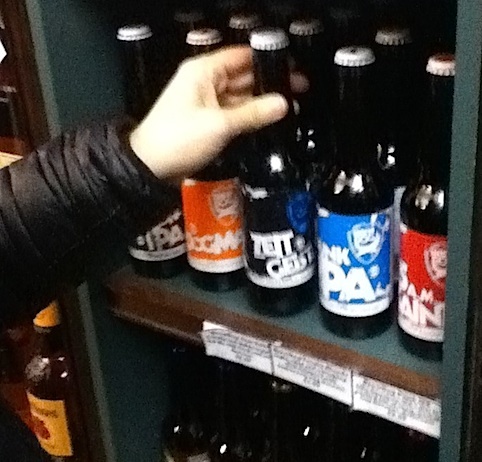 For this Monday’s EU Austerity Drinking Tour, we leave Derry in Northern Ireland for Ireland’s beer capital: Dublin. Our bus loops us through green pastures, lazy hills, and riverbeds. We reach Dublin that afternoon and catch the metro to our quiet homestay in Blackrock. The next morning, full of oatmeal, we head back to Dublin. Our goal: beer. Temple Bar glowing under an early sun. In no time we find Dame Lane and pub central. The ancient streets reek of last night’s extravagances. We pass Temple Bar, which looks like a TGI Friday’s version of Ireland. 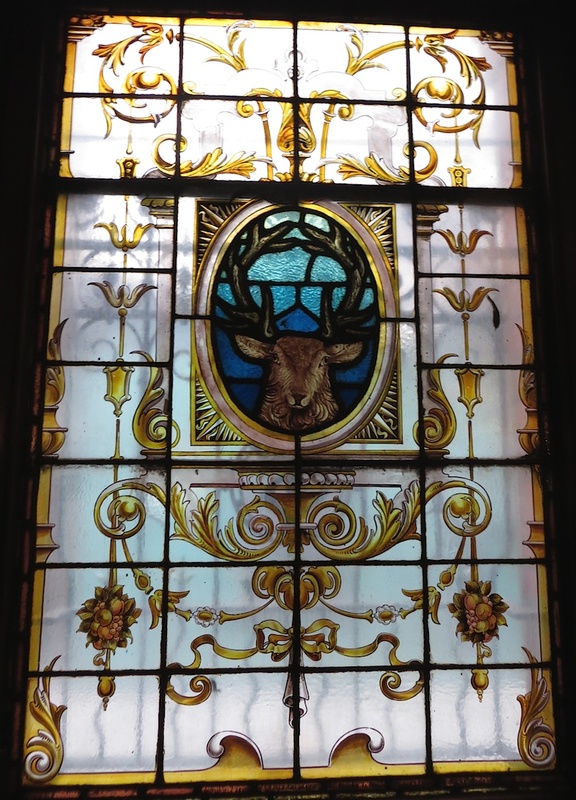 But by 11:51am, we walk into Stag’s Head. Pretty bustling for a morning. Ancient wood paneling surrounds us. The staff and patrons all creek with hangovers. But they oblige us with Guinness and Kilkenny‘s Irish Cream Ale at four euro fifty a peace. At home and served pretty cold, the black stuff tastes of keen, bright apple, a creamy honied mead, with a hint of charcoal. Good morning Guinness. Next: Kilkenny’s Irish Cream Ale. It looks clear, medium plus copper amber, with a white inch head. 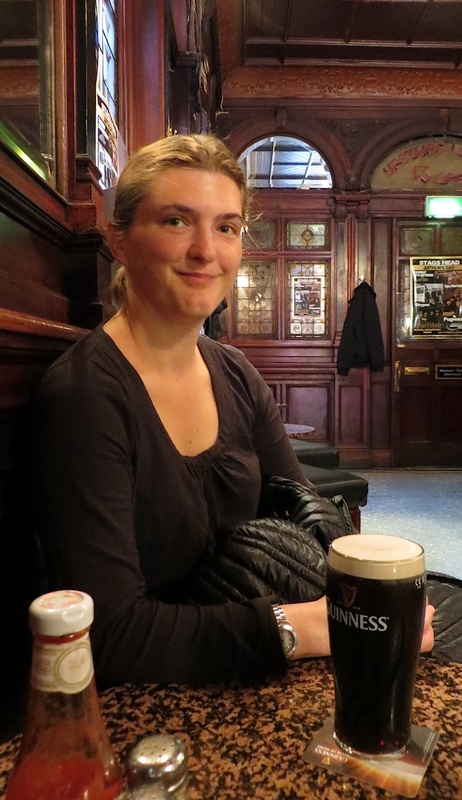 Nosing beer in a Dublin bar certifies my geekiness (but I soldier on: medium intense mead and apple btw). Acidity shines here like a fresh salad. Body and other structures feel medium. Average flavors taste of wheat bread, red apple, and honey. The medium length pops with a fresh slight tin can finish. 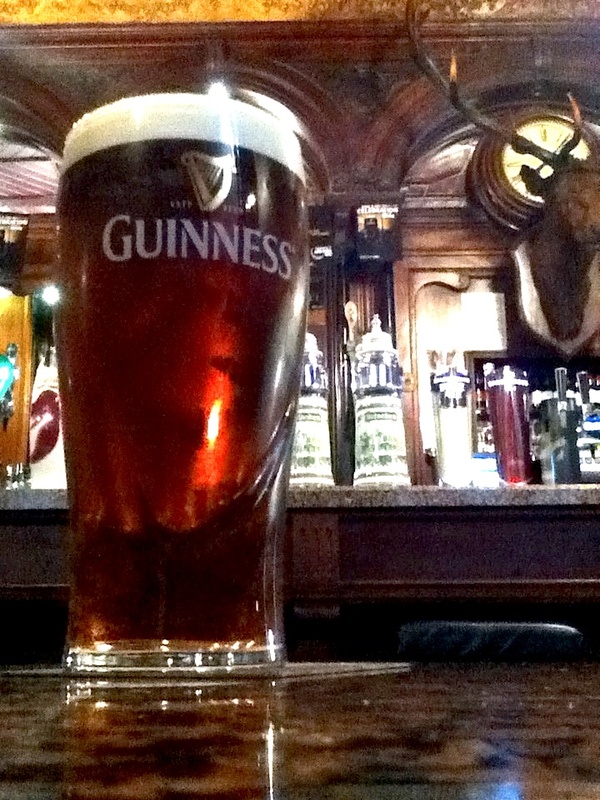 Good for a liquid lunch but maybe not for Ireland’s oldest brewery. Although both Guinness and Kilkenny now work for conglomerate Diageo), I cannot complain. Well-warmed, we head out to find local chocolate, cheese, and bathrooms at Saint Stephen’s Green Shopping Center: a massive mall mimicking a Victorian greenhouse. 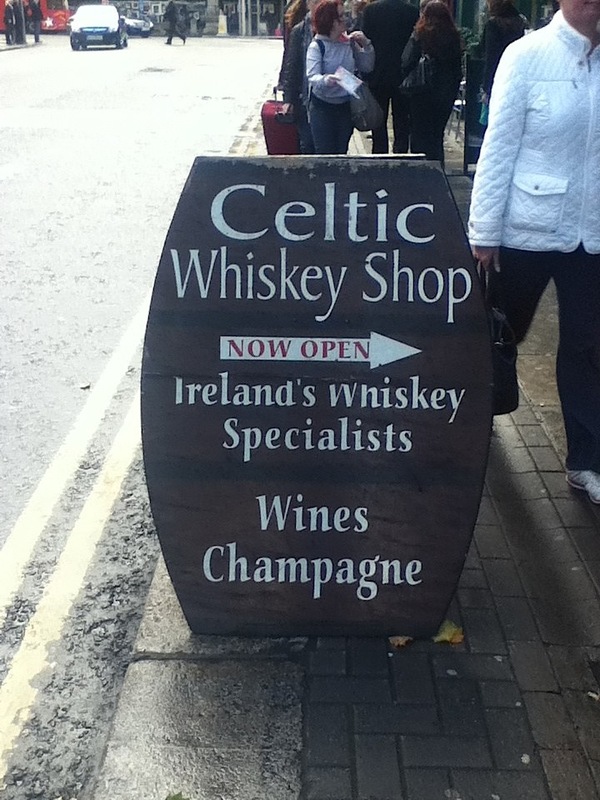 Then, the Celtic Whiskey Shop finds us. 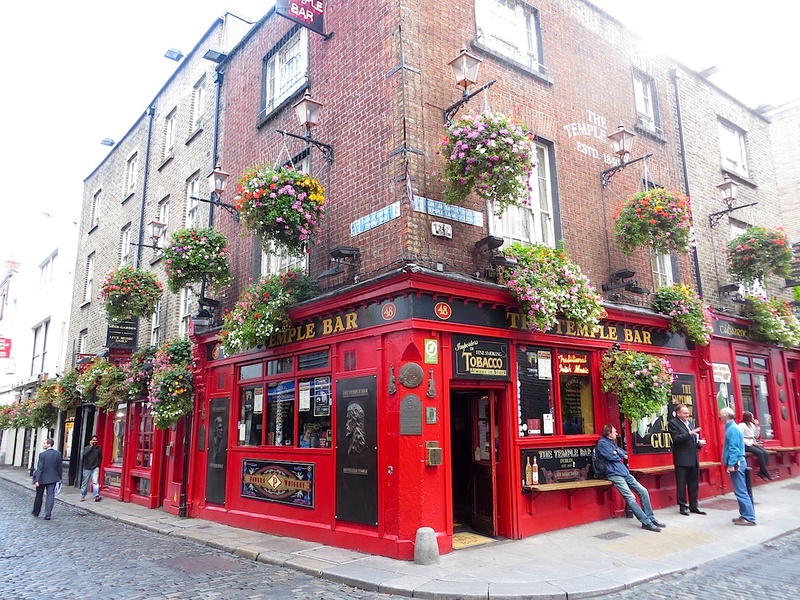 Its location between St Stephens Green and Trinity College on Dawson Street draws locals and tourists alike. Bottles wallpaper the tight interiors. No inch lacks alcohol or customers. A bargain under 4,000 euros. 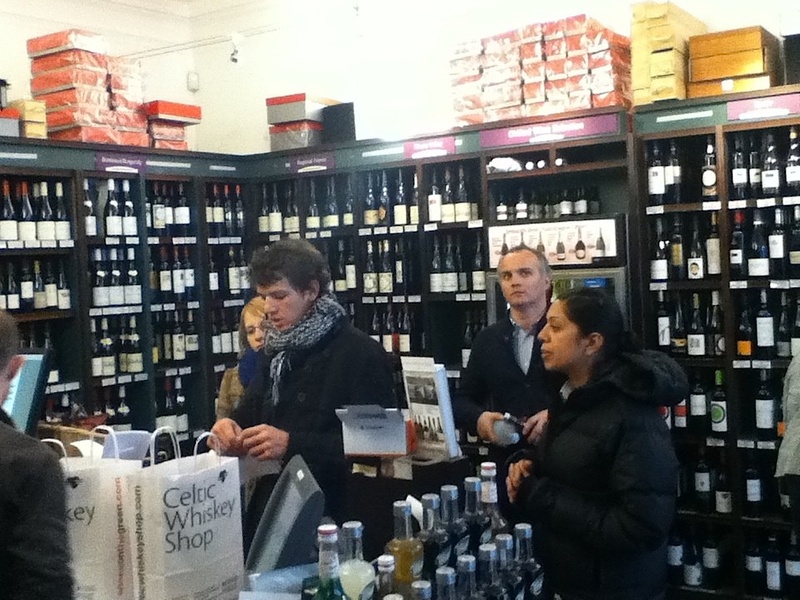 Overwhelmed by the Celtic Whiskey Shop, we depart empty-handed. Why? 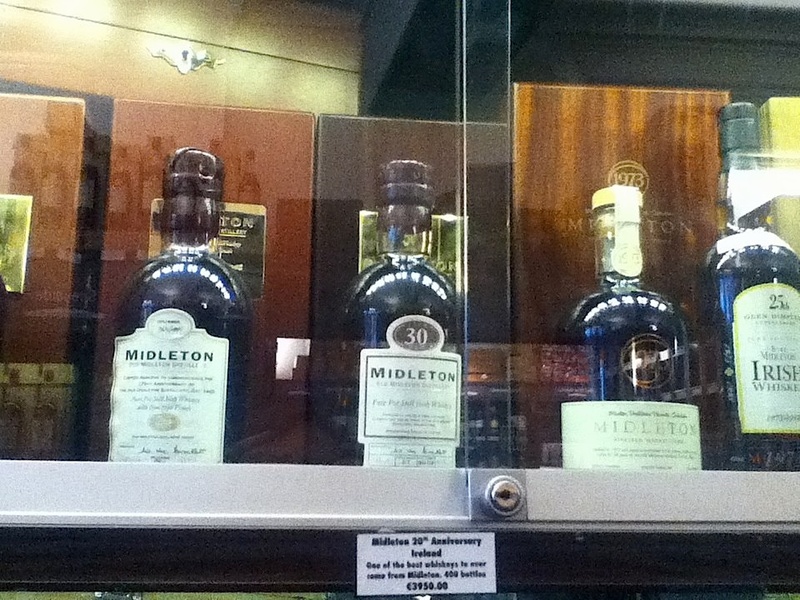 This entry was posted in Ireland, WINERIES WANDERED and tagged Celtic Whiskey Shop, Dame Lane, Derry, Dublin, Guinness, Ireland, Irish Pub, Kilkenny, Kilkenny GAA, Northern Ireland, Stag's Head, Temple Bar, Trinity College. Bookmark the permalink. 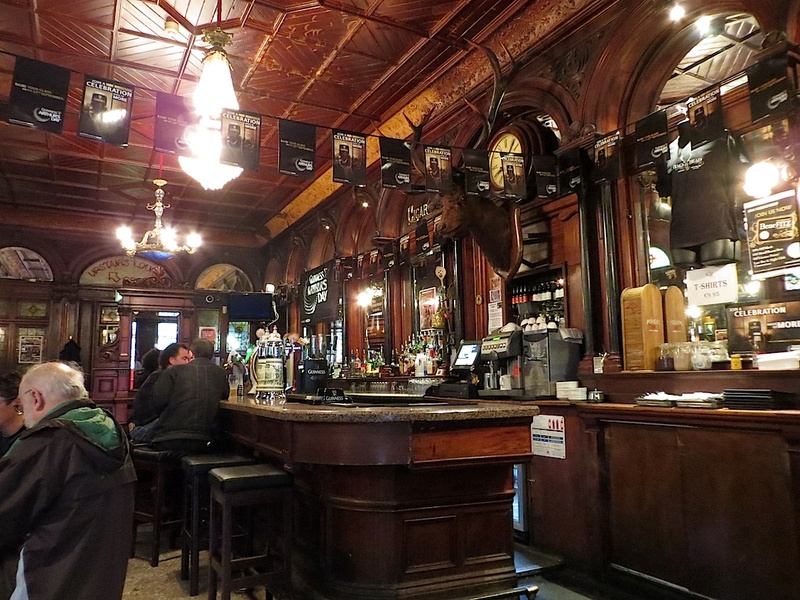 Yes, the traditional pubs of Temple Bar are gone, replaced by hipster bars of no personality. Have fun in Dublin, but get out to the West of Ireland if you can. The place looks warm and inviting. It would be fun to interview staff, find out where they go, what they like. Rathna’s looks really impressive. Very stylish. 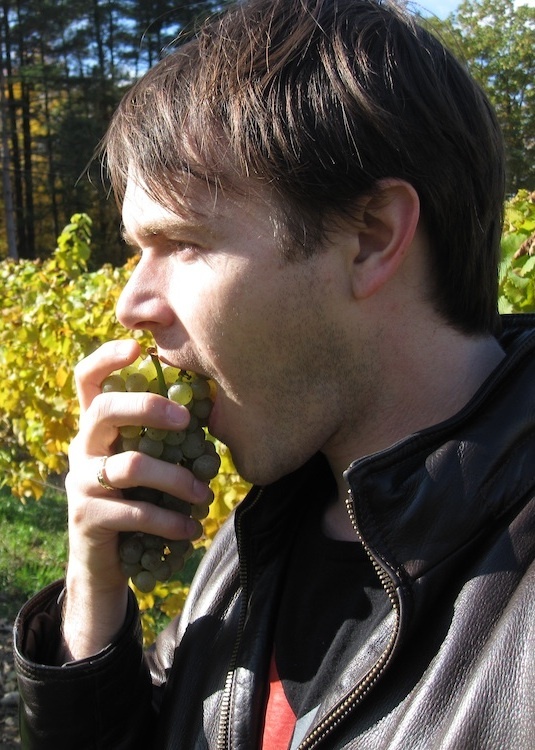 One of my go-to Indian wines is Sula Shiraz: it’s wonderfully ripe, spiced, and flexible. Do you have any favorites? I agree. I love damaged labels, because usually a grocery store is desperate to get rid of it cheap.